For those of you who have never met Mo Willem’s pigeon, you’re in for a treat. 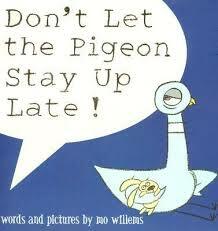 For those of you who know Mo Willem’s very naughty pigeon, it won’t surprise you that now he wants to stay up late. In fact, he’ll say anything to be able to stay up late. It’s up to you (and your students) to say “NO!”. The book begins with a man who asks you to please do him a favor while he brushes his teeth. “Please do NOT let the pigeon stay up late.” Pigeon has other ideas. This is your chance to live your dream of becoming a (very) naughty pigeon. Kids love the role reversal of getting to tell you “No!” as you (the pigeon) give all the excuses they themselves would give to try to get you to let them stay up late. This one had my students laughing out loud. They loved it. I hope you do too! The beautiful princess kisses the frog. The frog becomes a prince, and the prince and princess live happily ever after. Right? Well, unfortunately, in Jon Scieszka’s fractured fairy tale, the marriage is not one made in heaven. The Princess is annoyed that the Prince keeps sticking out his tongue and hopping on the furniture. She wishes the Prince would just go out and slay a dragon. The Prince, upset that the Princess won’t hang out at the pond with him, is miserable. They need a change. When the Princess says she wishes the Prince would just turn back into a frog, the Prince has an idea. He leaves the castle in search of a witch who can turn him back into a frog. He finds plenty of witches in the woods. The first wants to cast a nasty spell on him so he won’t wake up Sleeping Beauty, the second wants to feed him a poison apple so he won’t bother Snow White, one invites him into her gingerbread house, the fourth turns him into a carriage. He escapes from all four witches and sits, lonely, in the dark woods. The Prince realizes that he really belongs at home with the Princess who took a chance and kissed him when he was a frog. So, the Prince goes home to his worried Princess and kisses her. They both turn into frogs and live happily ever after. 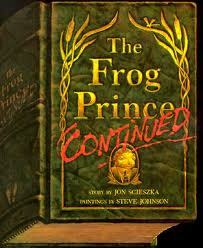 This is a fun read aloud for older students who will love recognizing familiar fairy tales, Steve Johnson’s creative illustrations and Jon Scieszka’s funny re-imaginining of the Frog Prince. 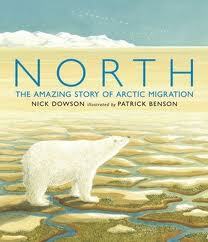 My older students really enjoyed this book. The Chinese Emperor is looking for someone to succeed him as Emperor. The Emperor launches a competition. He provides all the children with seeds to grow. The child who grows the most beautiful flowers from the seeds will become the new ruler of the empire. Ping is a child who not only loves flowers but is able to grow beautiful flowers. When he receives his seed, he plants it and cares for it every day. Unfortunately, nothing grows. Ping replants the seed in a new pot. He changes the soil that the seed is planted in, and still nothing grows. The children around him are all able to grow beautiful flowers. When it is time for the children to present their flowers to the Emperor, they laugh at Ping and tell him that he can’t present an empty pot to the Emperor. Ping’s father overhears the other children and tells Ping that it’s fine to present his best efforts to the Emperor. On the day that the children present their pots, Ping approaches the Emperor with his empty pot. The Emperor, much to everyone’s surprise, smiles. Ping was the only child unable to grow the seed he was given by the Emperor. Since the Emperor had boiled the seeds before he gave them to the children, not one of the seeds should have grown. Ping was the only child who was honest about trying to grow only the seed he was given by the Emperor. Because of his honesty, the Emperor crowns Ping the new Emperor. My students loved this ending and couldn’t stop talking about how the other children were deceitful and how Ping’s honesty was rewarded. Despite being only 16 years old, Malala Yousafzai has won many prizes around the world for her activism in the fight for girls’ education and women’s rights before the Taliban’s attempt to silence her in October 2012. Malala survived their attack and went on to win even more accolades, including Pakistan’s Youth Peace Prize, the Sakharov Prize, awarded for leadership in human rights and freedom of thought and a Nobel Peace Prize nomination in 2013. Together with Christina Lamb, she wrote this memoir about her life, the history of the Swat Valley and her time living under the Taliban. I have a student that patiently waited for me to buy this book and catalog it so that she could check it out. She came to my library to return the book last week but said that she actually didn’t want to return it. She wanted to just keep it, because she was moving to another town over spring break and wanted to keep reading the book. She is a very sweet girl who has read every book with Muslim characters in my library. I was really touched by the way she connected with the book. It inspired me to delete it from our collection (I will replace it) and just give it to her. She hugged the book and me. It was totally worth it. Here is what she and I both saw in this book. This book is as much a story of Malala’s fight for girl’s education as it is as a history of the Swat Valley, an introduction to her Pashtun culture, the story of how the Taliban entered and affected the Swat Valley and all of its inhabitants, and the conflict the Swat Valley’s residents felt about the Pakistan Army’s fight against the Taliban. It’s a fascinating insider’s perspective into current events and an area of the world few in the United States have seen. Malala is a straight A student, the daughter of her school’s founder. She loves studying and treasures her school books. From the outset of the book, you see that Malala will follow in her father’s footsteps as an activist. Her father is an outspoken advocate for education, specifically girls’ education and bringing peace to the Swat Valley. It is no surprise that we learn that Malala began anonymously writing a blog for the BBC about life under the Taliban when she was just 11. She then begins speaking in public about her belief that girls should be educated and her insistence that the Pakistani government use some of the billions of dollars received in aid from the United States to rebuild schools destroyed by the Taliban. All her public appearances as well as her father’s bring her to the attention of the Taliban. Both Malala and her father receive death threats from the Taliban. 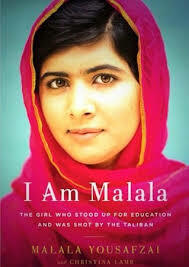 This only steels Malala to bravely continue her advocacy. I was fascinated by this book as was my student. The pictures in the book help the reader connect with Malala on a more personal level. I would recommend this to middle and high school readers. Goyangi Means Cat is about a young Korean girl, Soo Min, who is adopted by an American family and brought to the United States. Soo Min knows no English. Her new family knows only a few words of Korean. Slowly, she teaches her new parents a few Korean words, including “no”, “hurt” and most importantly the world for “cat”, goyangi. Soo Min is struggling to adjust to her new life with her new family in America. She finds comfort petting their cat. 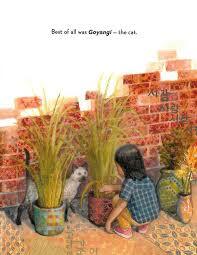 When Goyangi escapes the apartment one day, Soo Min and her new mom look for the cat everywhere. Goyangi finally returns, and Soo Min, as she hugs Goyangi, says her first English word, “home”. The author did a wonderful job helping my students understand how hard it was for Soo Min to adjust to her new home and family in the United States and how having a pet like Goyangi was a great comfort to her. We all felt Goyangi’s loss when he escaped and all were so relieved when he returned. The Giver, is a book that has stayed with me since I first read it years ago. It made an equally big impact on my son when I read it to him. 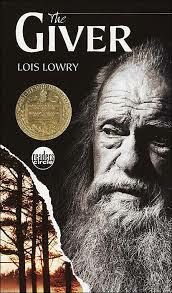 The Giver won the 1994 Newbery Medal. I read aloud to my sixth graders each week and decided to read them The Giver. I wondered what our students would make of the society Lois Lowry created. In the Giver, Jonas is a boy living in a society that protects its people from all pain, horror, sadness and loneliness, but also doesn’t allow them to feel happiness, love or excitement. Everyone exists in a comfortable, unchanging environment. There is one person, however, who is able to feel everything. His name is the Giver, and he serves the community by holding all of its memories for them, both painful and joyful. He alone knows the history of the community before it changed to protect its citizens. When issues arise in the community, the Giver is called upon for advice on how to address the issue, using his knowledge of the past. Jonas, as a 12 year old, is ready to receive his life’s assignment in the community. Some children are assigned to care for the elderly, some become lawyers or teachers. Jonas receives the most prestigious job of all, Receiver. Every day, Jonas goes to meet with The Giver, to receive the memories of the community. He learns about war, sickness and disappointment but also about colors, the warmth of sunshine, the cold of snow and the excitement of riding a sled. He is told that he cannot speak of his experiences with everyone. He soon feels isolated from his former life and his community. Jonas’ father is a Nurturer. His job is to care for infants and toddlers before they are assigned to their family units. Jonas’ father is troubled by a baby, Newchild 36, who doesn’t seem to be able to fit in. The baby cries at night and is not adjusting to his environment as the other children are. As a result, 36 is not able to be assigned to a family unit. Jonas’ father convinces his bosses to let him bring the child home at night, thinking that it might help him. Although they are only supposed to know the child’s birth number, Jonas’ family learn that the child’s name is Gabriel. Despite all Jonas’ family’s efforts, Gabriel doesn’t improve. Jonas’ father informs Jonas that Gabriel will be “released”. When he discovers what will happen to Gabriel, Jonas makes a fateful decision that will change not only his own destiny, but the destiny of his community. This book is perfect for tweens and middle school readers. My students loved the book and many went on to read the entire Giver series. The entire series, in order: The Giver, Gathering Blue, The Messenger, and Son, published in 2012. In case you’re interested in sharing this book with students, here is a link to Lois Lowry’s interview, on Scholastic.com, answering questions submitted by students about The Giver.